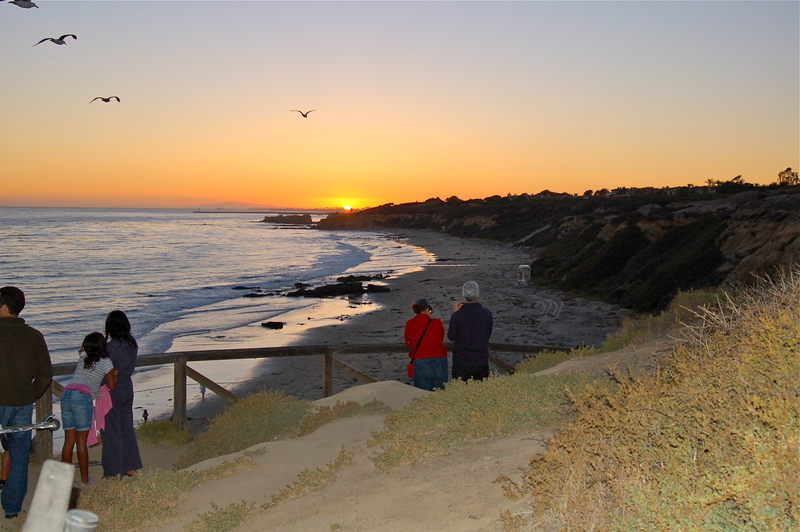 Have you been to Southern California? If you live there, well, I’m jealous, envious, bitter, and have a little malice in my heart toward you. I used to live there. When we moved, taking our 3 kids, about 2.7 million people moved in to fill the void. The 405 is 6 lanes each direction, but gridlock remains for many hours of the daily commute and at maddeningly unpredictable hours on the weekends. And PCH (Pacific Coast Highway for you who aren’t yet on a first name basis), well let’s just say the Highway part is optimistic language. It’s no mystery why the population continues to swell instead of flowing out like water to fill in the lonely landscape of say, the desert east of Palm Springs, into Nevada, or even up to Montana. The wide Pacific graces the west coast making the landscape, the weather, and the views extraordinary. After dinner one evening we drove through some of the local neighborhoods where the lots are small and the houses are big. On a street filled with stately Tudors, Spanish style adobes, and lean Modern innovations, I came across this Ocean Liner inspired design. Nothing on these streets is original. Everything is a remodel. 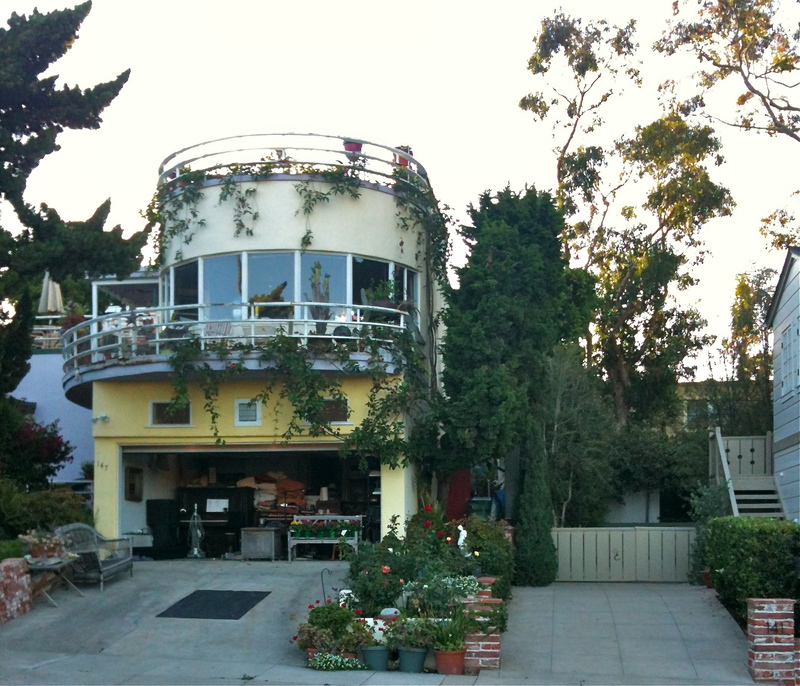 Inside and out, top to bottom these homes endure regular cycles of renewal and reclamation. I was too embarrassed to look like the tourist I was and waited until the owners had gone inside before taking out my camera. So, what you don’t see in the shot is them sitting on the upper deck with friends. They were having wine and laughing. Since they probably didn’t know I was a tourist, I don’t think they were doing it to gloat or rub salt in my wounds, but I’m not certain. The views from the 1st deck must be great, but the 360 they get from the upper deck would be breathtaking. People don’t buy houses there. Not everyone is athletic, tan, blonde, beautiful, and successful, but there are enough that it skews the curve. A Beach House represents a dream for most of us non-coastal types. Lazy days spent in old khaki shorts and flip-flops, riding bikes, and walking the dog on the beach inhabit our coffee break daydreams. Fish tacos for dinner and drinking wine with friends as the sun goes down all has to be crammed into one week on the yearly calendar. So while a week at the Beach tops the Dream Vacation Idea List, you don’t need to spend the Kid’s College Fund to enjoy Sunrise or Sunset views. There are still some Cheap Seats for the 2 best showtimes everyday. Some wise folks in the past reserved a place for everyone. The Ocean Liner Beach House is a dream, but eating ice cream cones and walking barefoot in the sand with my hubby—that’s a dream come true. Did you notice I learned how to insert Media appropriately interspersed in the text? I rented my cap & gown for the graduation ceremony. You and me both, I just left Los Angeles two years ago and I miss it a lot. Bright light, Big City, and the Beach—what’s not to miss?